midfield schemer is still applying deep thought to the game at the age of 71, meeting once a week in private with some English legends to predict results which could change lives with cash bonanzas and, who knows, prompt a spike in the sale of speedboats? Blackpool’s fellow Scots included Tommy Hutchison and John McPhee, previously of Motherwell, who didn’t allow Chelsea’s Ron Harris exclusive use of the “Chopper” epithet, and Green’s big pal was Tom White, brother of the late, great John. The Scotland call-up came during qualification for the 1972 European Championships, a prize which was to elude the team and manager Bobby Brown. Green was a substitute against Belgium in Liege, replacing Ron McKinnon, scorer of the own goal in what was ultimately a 3-0 defeat. Then in Lisbon he came on for Pat Stanton who’d put through his own net, Portugal winning 2-0. Incredibly John Greig did the same thing against Northern Ireland in the Home Championship, though at least this time Green got to start. “Crikey,” he says, “I’d forgotten about those OGs. It’s all a long time ago. I was surprised to get picked for Scotland but obviously delighted. All of a sudden I was mixing with names I only got to read about and I think I was a bit star struck. There were the top guys from Celtic and Rangers while the Anglos were the likes of Denis Law, Billy Bremner and Alan Gilzean. But they weren’t primadonnas. You might have thought there would be some strutting about but nobody did that. On the Portugal trip Willie Henderson, because he was friendly with Eusebio, got invited up to the great man’s villa. He came back with a crate of nice wine and we asked him: ‘So will you be getting Eusebio through to Caldercruix now?’ I don’t remember Willie sharing the wine with us but I did get Eusebio’s autograph for my mum.” Green played twice against England – in the 3-1 defeat at Wembley in ’71 which was Brown’s last game in charge, and for Tommy Docherty the following year at Hampden, 1-0 to the Auld Enemy that time. “I was back to being a substitute again. The Doc told me to man-mark Alan Ball who’d scored England’s goal. I was dead excited to be getting on the park – there was 120,000 in the ground that day, the biggest crowd of my career – but he couldn’t have picked a worse guy for that job. I was about beating players, and that’s what we needed that day.” Sadly for Green there would be no more days in dark blue. 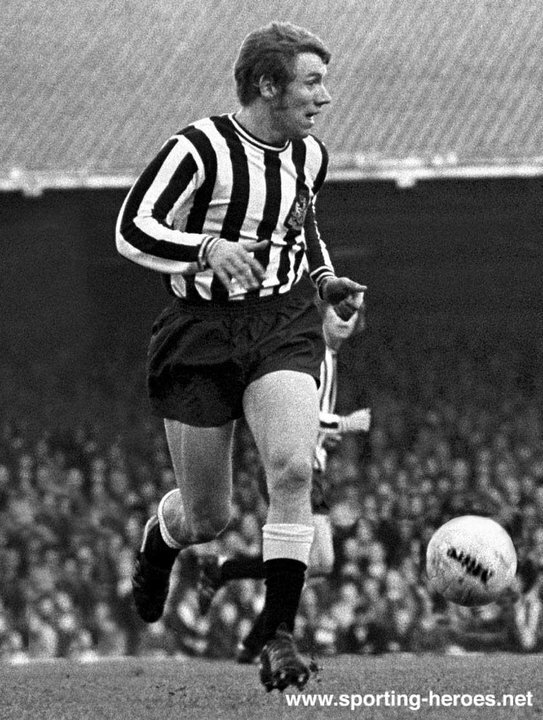 Four months later, by then the creative spark at Newcastle, he clashed with Crystal Palace’s Mel Blyth and the slight boy definitely came off worse. “I ripped the cartilage and ligaments in my right knee. It wasn’t malicious on Mel’s part but my recuperation wasn’t the best. The club didn’t think the injury was a big problem and I carried on training in a splint, running up the terraces. Nowadays I’d have had an operation right away. Thanks for the memories mate! I was lucky enough to see Tony play - what a player! (08-09-2018, 02:38 PM)Mick Wrote: Thanks for the memories mate! I started in '62 on the "Popular Side" (now the East Stand) with me dad. Then moved on to be a Leazes Ender with mates from school! 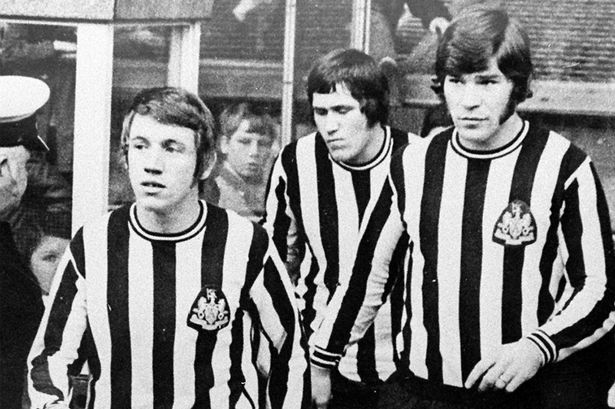 Yep - moved to the Gallowgate when they demolished the Leazes, half built it again, then ran out of money. My first season ticket was in the West Stand (now demolished). Was always told how good Tony Green was but was too young to watch his skills..... what i will say is that he must've been a proper player for fans to still talk about him. Before my time, but must have been some player to get the reputation he did from so few appearances. Current time: 24-04-2019, 10:54 AM Powered By MyBB, © 2002-2019 MyBB Group.